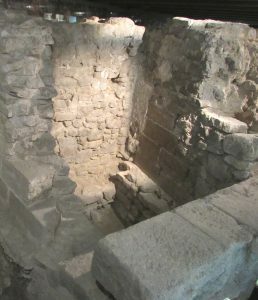 According to a classic Joni Mitchell song, “They paved paradise and put up a parking lot.” But in Paris, ironically, it was the building of a parking lot that unearthed a wealth of archaeological treasures, including some that date back to the Gallo-Roman era that began in the year 52 B.C. And even more surprising is that this historical treasure trove literally lies at the feet of every tourist who visits one of Paris’s iconic sites—Notre Dame cathedral. Now a museum called the “Crypte Archeologique,” the site was uncovered by workers constructing an underground parking lot adjacent to the cathedral in the 1960s, leading to an excavation underneath the plaza in front of the iconic church between 1965 and 1972. And sections of the original Haussmann sewers, constructed in the 1850s. The entire site is now one of Paris’s 14 city-run museums and is open from 10 a.m.-6 p.m. (last admission at 5:30 p.m.) Tuesday-Sunday, closed Mondays. 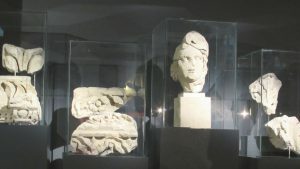 Of note, while the other city museums are free to enter, the Crypte Archeologique charges an admission fee of 8 euros for adults (those under age 18, the disabled and senior citizens are admitted free of charge). It’s also important to note that it’s entirely possible to miss the entrance to the museum at the far end of the Place Notre-Dame/Place Jean-Paul II due to abysmally inadequate signage. Look for the ramp to the underground parking garage that is sandwiched between the Rue de la Cite and the short street Parvis Notre-Dame. The entrance to the museum, marked by a concrete sign with red lettering, is just on the other side of the parking ramp as you make your way toward the cathedral. There’s an audio tour—lasting about 30 minutes—available in several languages to guide visitors through the various sections. 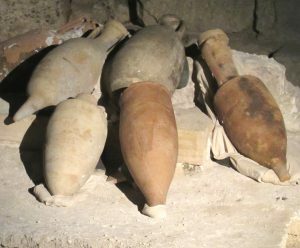 We’ll be honest here, though: The vast majority of City of Light tourists don’t visit the crypt as they have no real interest in the archaeological digs. Sure, the museum is unusual and can easily be explored in under a half hour. But unless you’re a history buff or a regular visitor to Paris looking for new experiences in the city, the Crypte Archeologique isn’t a must-see destination. However, if you are into archaeology or want a deeper understand of Paris’s rich 2,000-year-plus history, the museum is certainly worthy of a quick visit. This entry was posted in French history, History of Paris, Ile de la Cite, Museums and tagged Crytpe Archeologique, Lutece, Notre Dame, Parisii, Roman settlement by Bob Adams. Bookmark the permalink. That’s an impressive find. No one know how such treasure are waiting to be unearthed.